The lead author of the study, Anthony J. Lisi, DC, Director of the VA Chiropractic Program and Chiropractic Section Chief at the VA Connecticut Healthcare System made a statement on the progressive and significant increase of chiropractic service utilization by the VA each year after its introduction in late 2004. 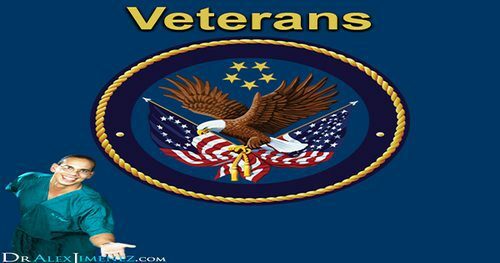 Additionally, as stated by Anthony J. Lisi, Veterans Affairs’ chiropractic care includes evidence-based medicine and patient-centered care, among other treatment options which are highly requested by veterans and referring providers. Over the past year, Dr. Alex Jimenez has been able to provide chiropractic care for veterans in El Paso, Texas, in relation to the approved chiropractic coverage from Veterans Affairs, VA. Chiropractic treatment supports the overall health, fitness, and wellness of respected and valued veterans as well as help relieve the symptoms of an individual’s injuries or conditions. For more information, please feel free to ask Dr. Jimenez or contact us at (915) 850-0900.